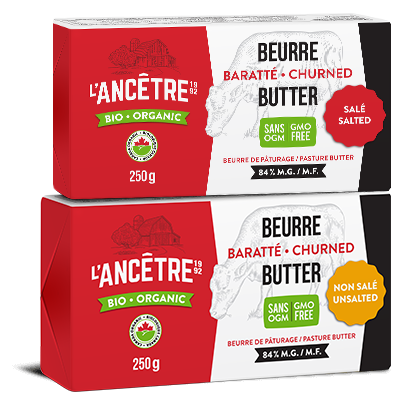 Find tasty and healthy certified organic Canadian butters from environmentally-friendly farms. They are simply delicious and are sure to add a distinctive touch to all your gourmet dishes and healthy meals. Not only is organic food better for you—it also tastes fantastic! Our Canadian butters and cheeses offer you a whole new world of flavour. Our smooth, creamy butters are perfect for all your favourite recipes.